First impressions count and when it comes to woodwork, other people will judge a project first by the finish - that outside fraction of a millimetre that we apply at the end of all the tricky shaping and construction work. This is not to say that internals of a woodworking project are not important, it is just that if the piece looks brilliant on the outside then people will be more interested in finding out about the rest of it. This article looks at preparing surfaces and applying some easy finishes. 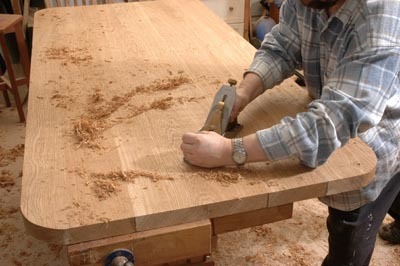 Photo 1: Planing a flat surface on a glued up tabletop, for example, is bound to require you to run the plane across the grain or sometimes even against the grain, roughing it up in the process. 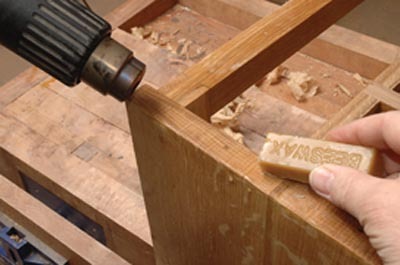 Turning the plane away from the angle of motion reduces the damage, but it is still not practical to produce the silky-smooth finish you might achieve under ideal conditions when you plane a single piece of wood with the grain. Photo 3: Orbital sanders produce swirling trails while random orbit sanders do the same thing but try to hide it by making each trail follow a different pattern. Using these tools it is even more important to work thoroughly through each grade of finer grit. Powered sanding can save effort but needs to be used carefully to avoid accidental rounding over that turns crisp shapes into soggy ones. 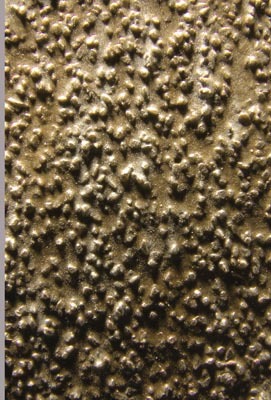 Photo 4: Under the microscope abrasive has a scattering of random shaped grit glued onto a flexible sheet of thin card or fabric. Loosely speaking we call this sandpaper because in the past it was made with sand, but now it is usually aluminium oxide or silicon carbide grits. Although not as hard as silicon carbide, shards break off the surface of aluminium oxide grit as you use it, exposing fresh sharp edges all the time. This makes the aluminium oxide cutting action last longer on wood while silicon carbide works better on metal or hard materials. 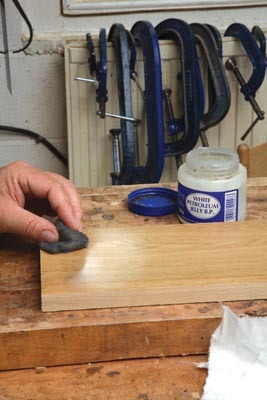 Photo 5: The flat face of a cork or rubber sanding block provides even pressure behind the paper when sanding by hand. This helps to stop the abrasive from hollowing a flat surface or rounding edges, particularly important on narrow pieces like fine drawer sides. Photo 6: Grades of abrasive papers run from about 40, which is very coarse, to 1000, which is extremely fine, but typically a fine woodworking project calls for four grades in the range of about eighty to three hundred. Start with the coarsest grit and spend equal time working with each so the finer gauge removes all the scratch marks from the previous one. Photo 7: Working the paper with the grain direction while you are sanding always gives the smoothest results, even with the coarsest grit paper. Running the abrasive across the wood grain would cause the sharp edges of the grit to slice across the wood fibres, leaving short fuzzy ends - something to avoid especially as you sand around joints. 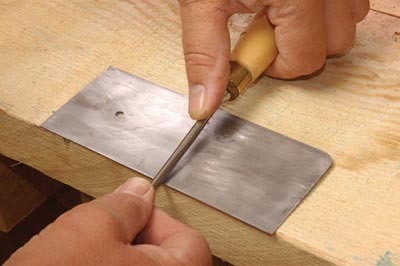 Photo 8: The cabinet scraper, which is just a rectangle of springy steel sheet, is an unlikely looking tool for fine woodworking, but with a little practise it can produce great results. You first need to produce a straight flat edge on the scraper by running along it with a fine file, then a fine flat stone. This will make it feel rough on the long corners between the faces and the edge. Photo 9: The faces of the scraper need to be smoothed or burnished by laying them flat on the edge of the bench and running a hardened steel rod along them. There are burnishing tools specially made for this purpose, but they are expensive and you can use the smooth shaft of a screwdriver or a carving gouge instead. 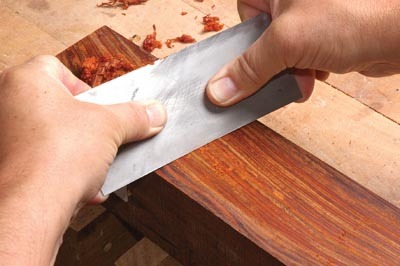 Photo 10: The purpose of the next stage is to produce slightly hooked edges on the scraper. 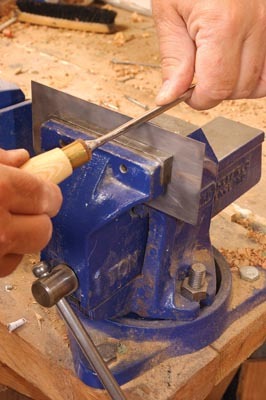 Again the scraper is clamped in a vice and the burnisher held at a slight angle while it is pushed along the edge with a light stroking action. There must not be any jaggedness in the hooked edge as this would produce roughness on the wood. You may need to repeat the filing and burnishing a few times to achieve this. Photo 11: A well prepared cabinet scraper can smooth the surface of even the most difficult woods. 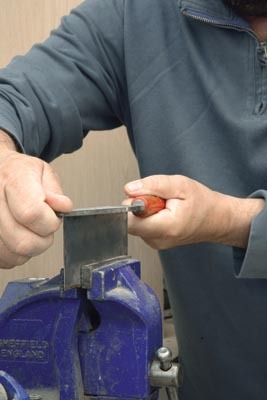 Hold the scraper between both hands using the thumbs to press it into a shallow curve. 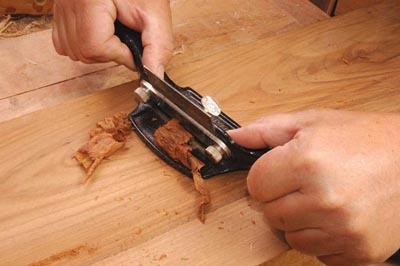 Tilt the scraper away from you and push it along the grain of the wood so the fine hooked edge picks up the smallest of shavings. When this becomes blunt, turn it over to use the other edge. 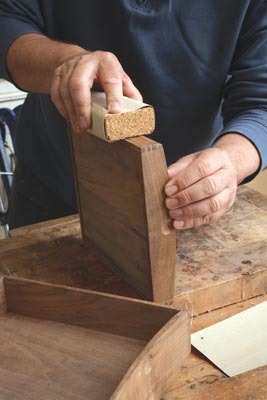 The cabinet scraper produces fine shavings, not dust like sandpaper. This is a special advantage on projects made from mixed wood types where dark wood dust would clog up the grain on pale wood making it look dirty, but the scraper gives clean results. Photo 12: Using a cabinet scraper for a large area can be hard on your thumbs, and the scraper quickly becomes hot with friction making the task even more awkward. 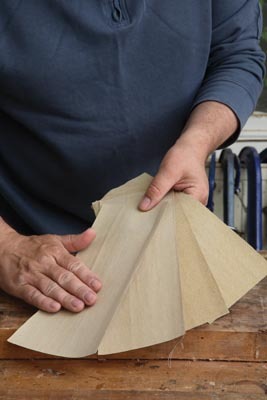 Cabinet scrapers sometimes come with handles each side while others look more like modified smoothing planes which are much more suitable for tackling tabletops and cabinets. Photo 13: One of the most effective yet simplest finishes to apply is beeswax paste. 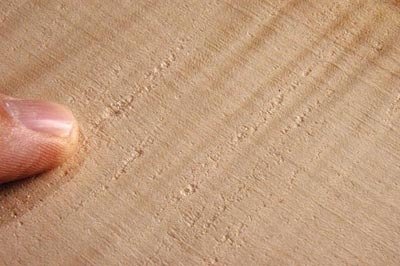 It quickly buffs up to a light sheen on the prepared surface of any type of wood, bringing out depth of colour and protecting it from dirty finger marks. 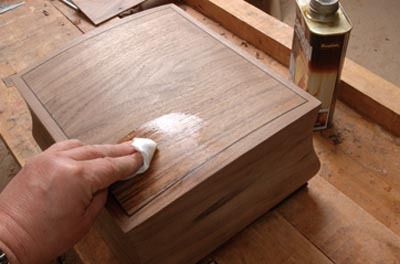 The only disadvantage of a beeswax finish is that it needs topping up quite frequently, but this is easy to do. 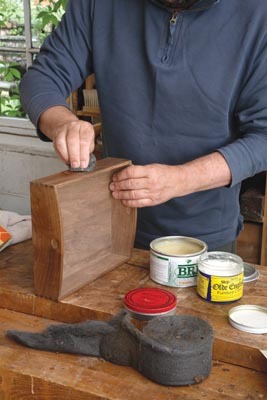 Photo 14: Solid blocks of beeswax can be rubbed in if you gently heat the wood with a hot air blower at the same time. This turns the wax completely liquid which has the advantage that it penetrates further into the wood. A beeswax finish like this will last a good length of time and can still occasionally be topped up with wax paste. Photo 15: Danish oil is sold as a mixture of linseed oil, tung oil and solvents which penetrate the wood bringing out its colour and patterns or figuring. Oil finishes have a slightly yellow tinge which is successful on dark woods but less attractive on pale woods like ash or sycamore. The oil is diluted slightly with white spirit then rubbed or brushed generously across all the surfaces. After about twenty minutes the surplus oil must be completely wiped off with a clean dry cotton cloth, otherwise it will dry as a treacly mess. In a day or two when the oil has dried it needs another coat applied in the same way. Repeat this about five times to build up a good sheen. Photo 16: A surprise contender in the list of easy finishes is petroleum jelly or Vaseline, normally sold in large tubs as a relatively cheap and simple skin ointment. It is used in the same way as a wax paste polish but instead of building up a glossy finish, petroleum jelly will give the wood an attractive semi-matt sheen. 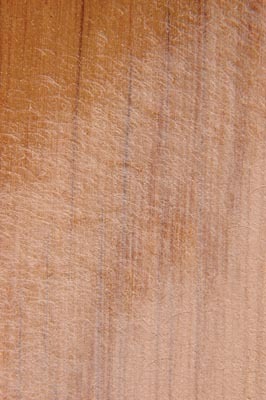 Photo 17: Clear water-based finishes have largely taken over from old fashioned oil varnishes. One of the main reasons is the reduction in Volatile Organic Compounds (VOC) which pollute the air. 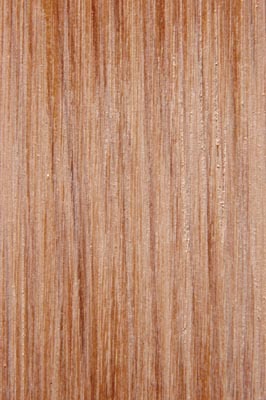 Other advantages are that water-based finishes dry quickly, producing very little smell and are less yellowing of wood. 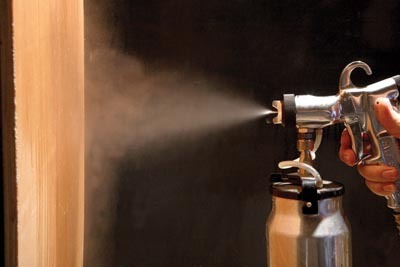 Water based finishes are quite suitable for spraying from a compressed air gun, especially the High Volume Low Pressure (HVLP) type. The disadvantage is that the varnish makers rarely give you any advice on thinning. Adding 10% water is a good starting point. "If the piece looks brilliant on the outside then people will be more interested in finding out about the rest of it."